Take your favorite chicken, fish and veggie dishes to the next level with this cool collection of four award-winning white wines. 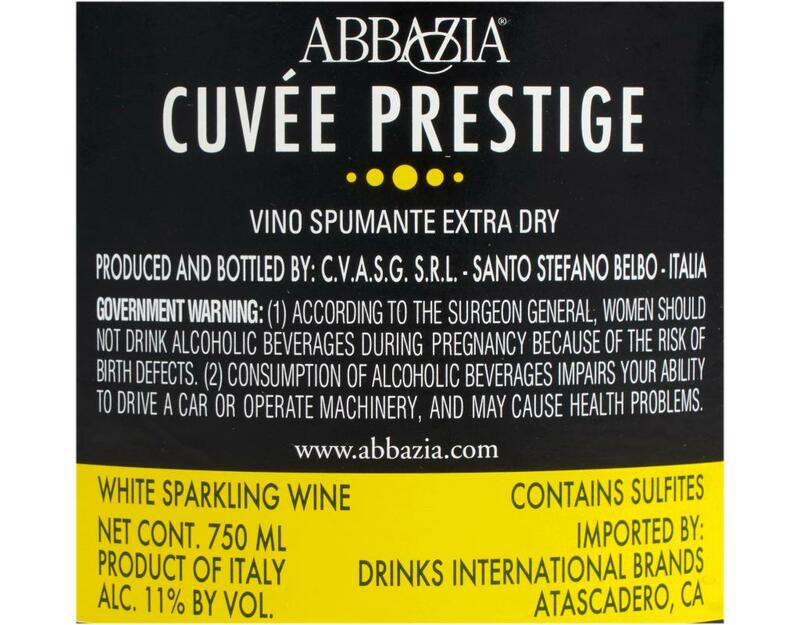 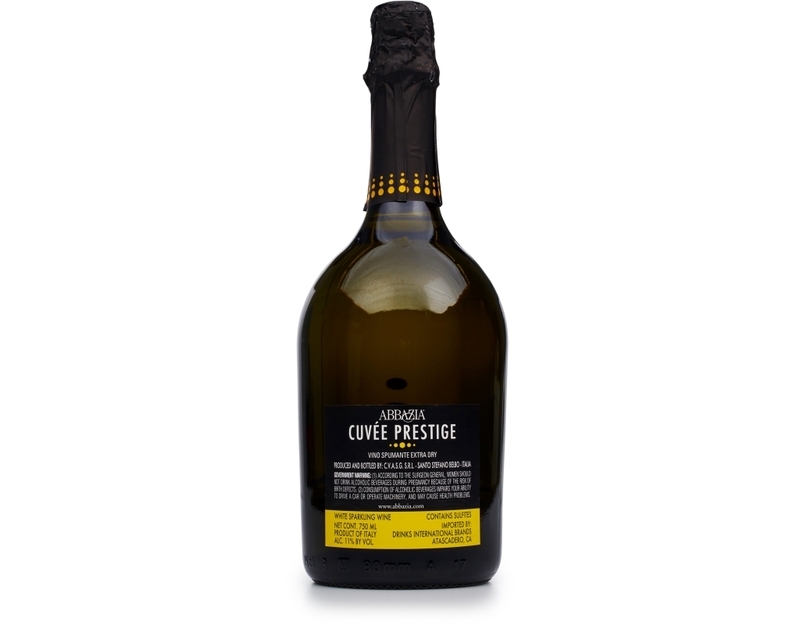 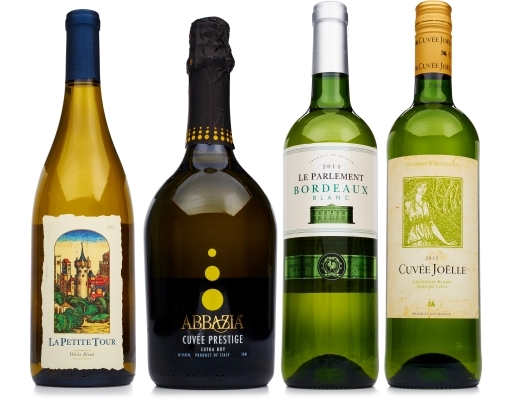 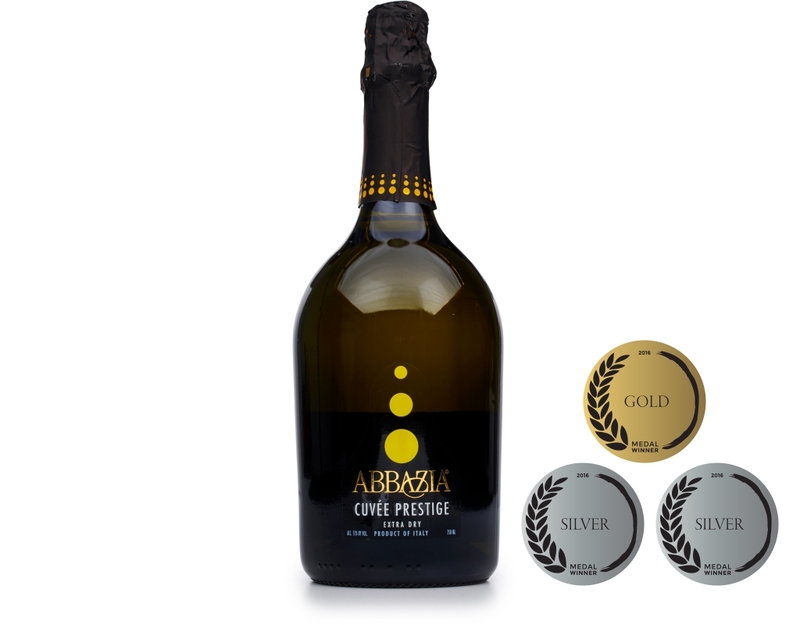 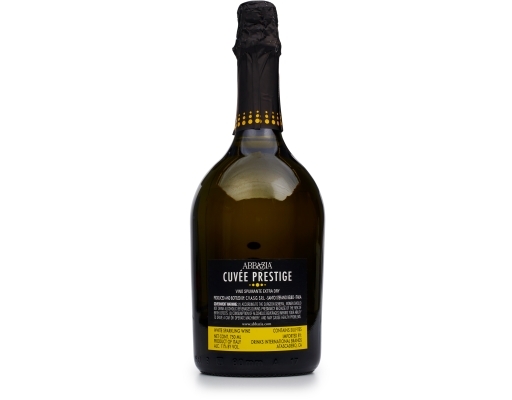 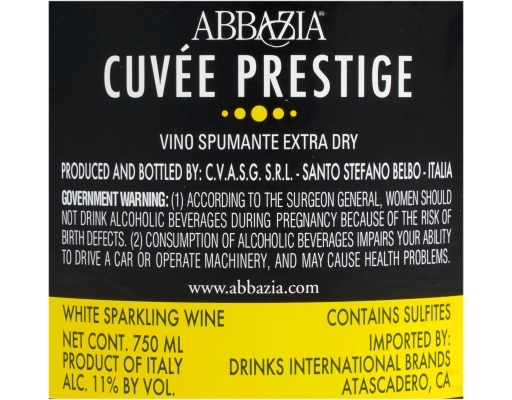 From a crisp, Sauvignon Blanc-based Bordeaux, to an Italian sparkler that thrills Prosecco lovers, the white wines in this pack are the ultimate in refreshment. 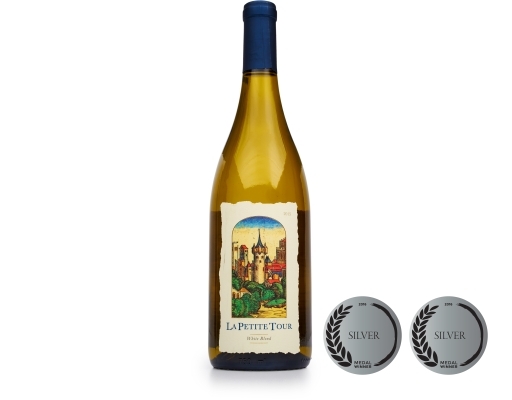 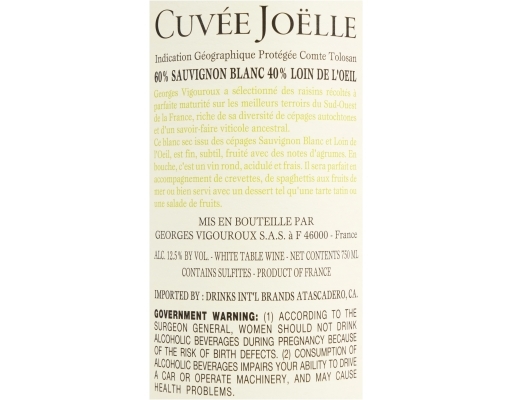 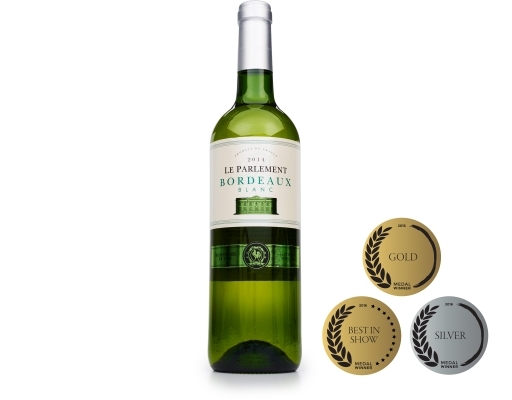 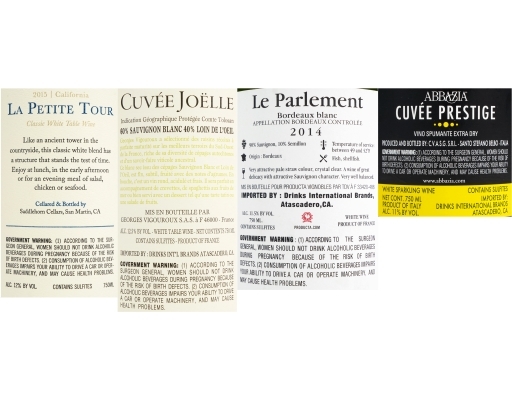 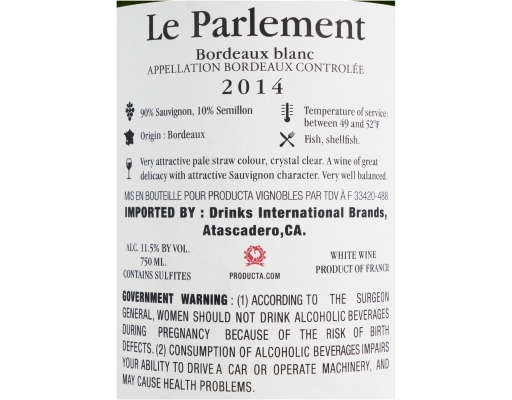 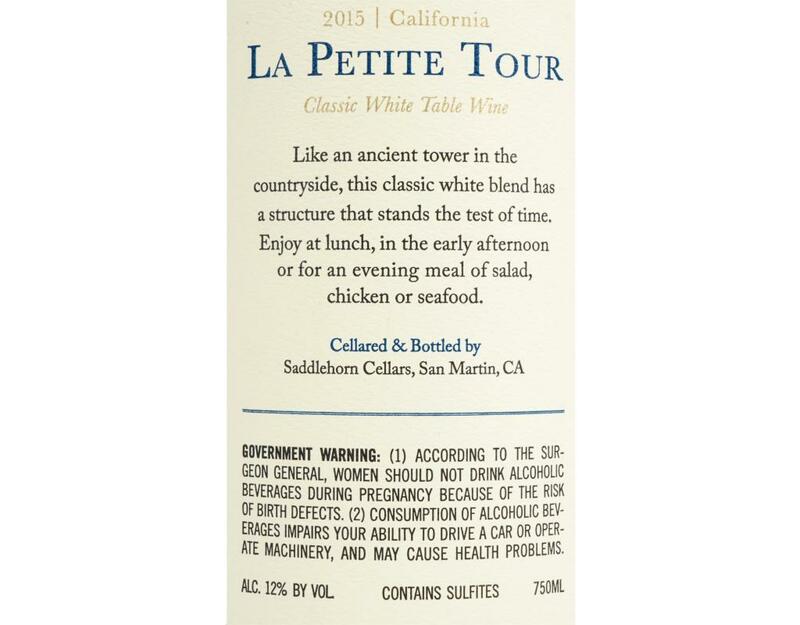 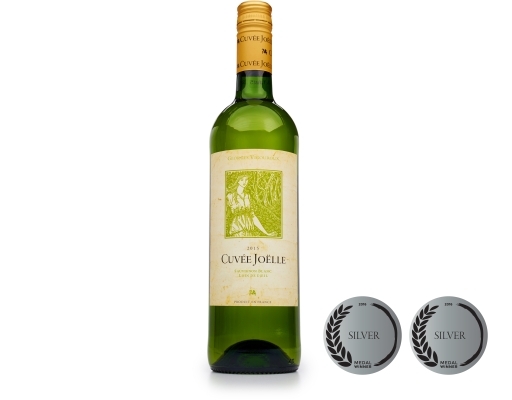 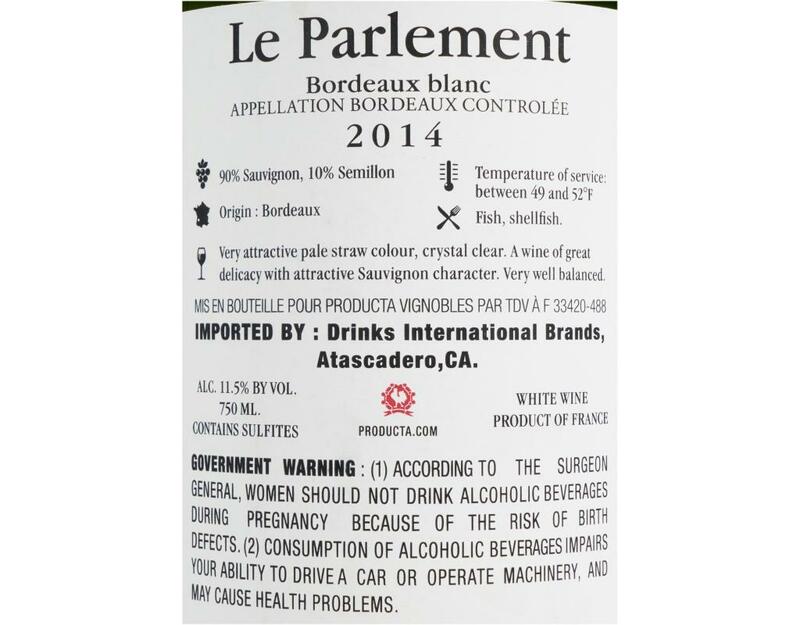 • 2016 La Petite Tour Classic White: La Petite Tour Classic White is a delicately aromatic, medium-bodied wine with flavors of ripe pear and surprisingly bright citrus notes. It’s a versatile food wine, that pairs well with fish, grilled chicken or vegetables, and we’ve found that it’s the bottle that thrills white wine fans…and converts red wine drinkers. 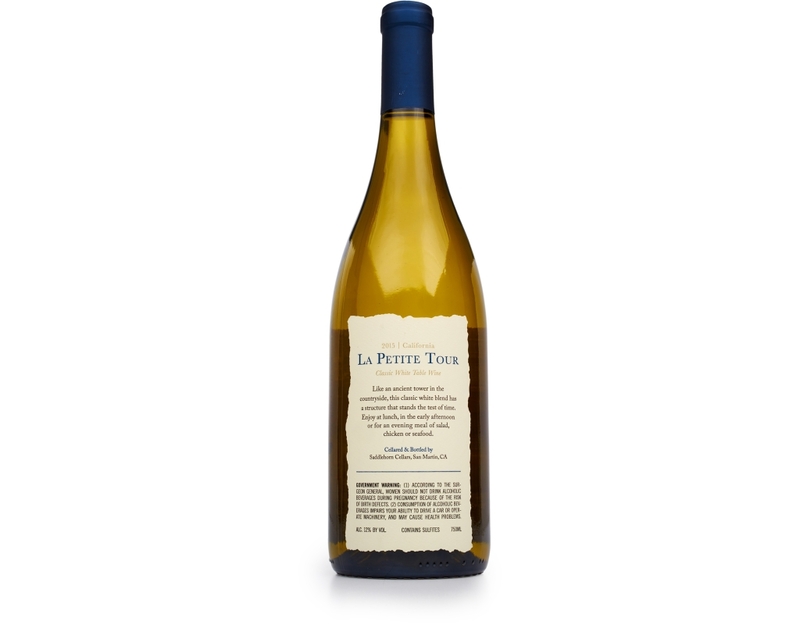 Grilled Fish and Chicken: This wine’s fruity nature takes flight when paired with the savory, smoky flavors of grilled fish and chicken. 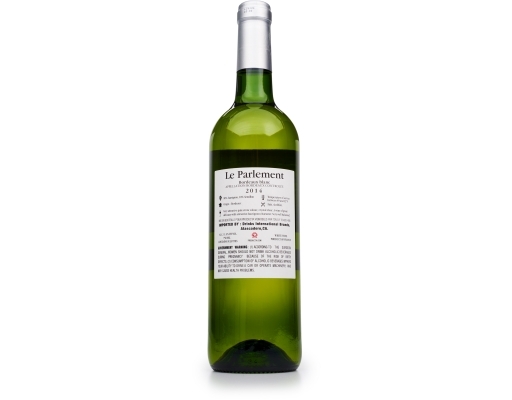 Green Vegetables: To maximize freshness, enjoy this white wine with green veggies like asparagus and zucchini.